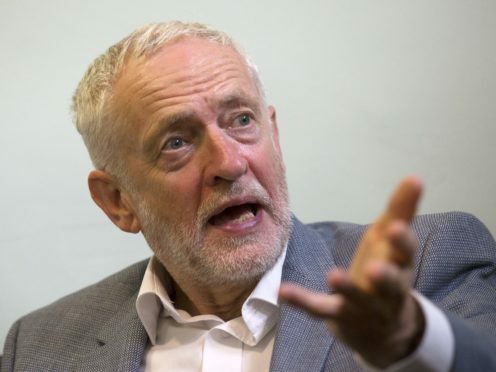 The Labour leader will also propose a shake-up of the way the TV licence fee is paid and set, and call for information about the social class of anyone who creates BBC content to be published, as he delivers his Alternative MacTaggart Lecture at the Edinburgh TV Festival. Mr Corbyn will outline proposals for a an independent fund for public interest journalism paid for by tech giants, which could include Google, Facebook and Amazon. He is expected to say: “One solution to funding public interest media could be by tapping up the digital monopolies that profit from every search, share and like we make. “Google and news publishers in France and Belgium were able to agree a settlement. He will also argue that the licence fee should be modernised for the digital age, with a “fairer and more effective way” to fund the BBC. He will float the idea of introducing a digital licence fee – paid by tech companies or through internet service providers – to supplement the existing licence fee, with a view to reducing the cost for poorer households and helping the corporation compete “more effectively”. The second day of the festival will include appearances from Michael Palin, a number of TV executives and Michaela Coel, who delivered the James MacTaggart Memorial Lecture – the keynote speech of the festival – on Wednesday. Ms Coel told of her challenging experiences in the TV industry, and revealed she had been a victim of sexual assault. Day two of the festival will see comedian Frank Skinner host the Edinburgh TV Awards, with categories including channel of the year, production company of the year and TV moment of the year.